When you think you have everything sorted for the big day you remember your table settings. Sounds pretty simple doesn’t it? Well if you are a simple bride then it’s going to be far easier for you. If you are a bit fussy and like a bit of detail then the fun starts here. 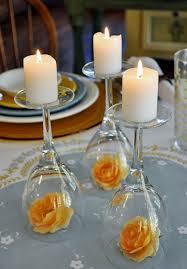 Many brides want to have their table settings tying in with the colours of the bridesmaids. The sash on the chair cover will usually reflect this. However, you have the actual table layout to think about. There are so many options for centre pieces. From the standard vase of flowers to a candelabra to fish in a bowl. The world is your oyster. As you can see, they don’t always have to include flowers. 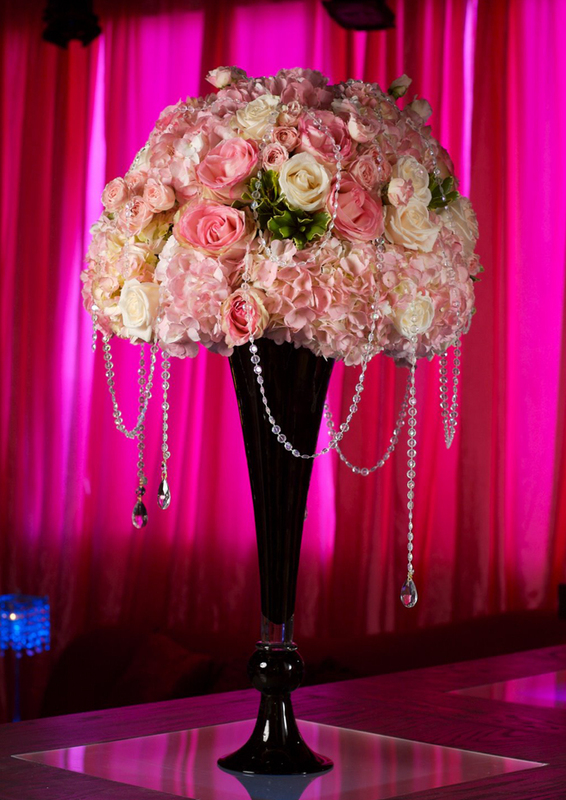 Make sure to take into consideration the height of your centre pieces. If you want a dramatic look then go for taller but beware, your guests might not be able to see past them. The broader your centrepiece is the more likely it will affect how many guests will sit at that table. I know, this sounds crazy but when you think about it, it’s pretty logical. 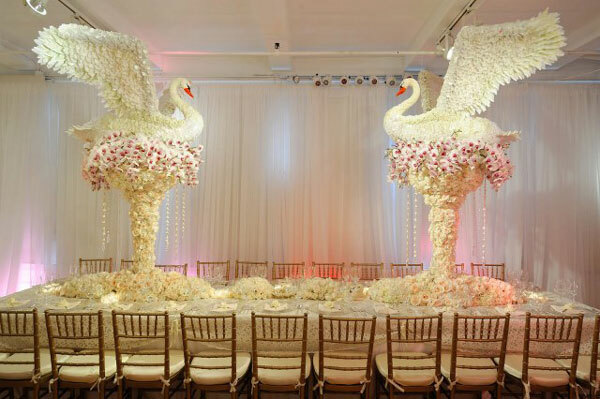 Ultimately, the best wedding centrepiece is the one that appeals to you the most. The one that reflects your personality. Are you wearing jewellery on the big day? Are you having wedding favours? I had the great pleasure of being asked by Zoe to do a Guest Blog for Hitched. Check it out! We (brides) often wonder what the next big thing is going to be in the world of weddings. Well, we can’t keep up with them as there are so many. Here are some things I have come across that brides should be aware of when planning the big day. Yes, you heard me right. A website that is built for your wedding and your wedding only. With the details of the day and where to stay, it’s a sure hit with guests these days. They can even suggest their favourite song to be played on the night. So this is a great way to compile a song list without doing all the hard research. Redo your shoe is a spray for jazzing up your shoes. It can be hard to decide on shoes for the big day. After all, you will be wearing them for hours so you need something comfortable yet nice to look at. So, if you have your favourite shoes of all time, why not wear them? Invest in a tin of sparkly “redo your shoe” and voila you have brand new pimped out shoes. Perfect for the occasion. What on earth is the wet knot? Well you know we live in a very wet country so its possible it could rain on your big day. How do you protect yourself from the rain without ruining the look of your dress? Invest in the latest bridal cover up-the Wetknot. This should be in every bride’s survival kit for a wet wedding.